If you’re considering taking your practical motorbike test, what are the common mistakes that will cause you to fail? As bikes have become more capable it is easier to speed, and you only need to exceed the posted speed limit by 5kph for more than 5 seconds, or 10kph over the limit for any length of time and you will be instantly failed. 5kph over for less than 5 seconds will earn you a critical error. While you are doing your test it’s likely that other drivers could be travelling a little of the speed limit. Resist the urge to keep up with them. We asked two veteran driving instructors their opinions on other errors that could lead to you failing your test. “Whilst riding on a main road and then turning right into a side road (giving way to oncoming traffic in the opposite lane) they turn in early and cut across the centre line (or corner piece of the give way line) of the road they are turning into. Often they are so intently focussed on “beating” the oncoming car that they have failed to look into the side road and can miss cars approaching that are turning right out of the side road, or larger vehicles that are swinging wide turning left out of the side road. “Not using the correct sequence of motorcycle control when making a turn or moving left or right to merge or change lanes (in other words messing up the mirror signal lifesaver part). Once a change of direction has been decided upon (told to turn left or right or change lanes by the testing officer) the correct sequence should be to check mirrors to see what is behind and in the intended direction of travel (let’s say turning left) so left mirror, signal for three seconds and then just before moving take a lifesaver head check over the left shoulder to confirm that what they saw in the mirror was accurate and nothing has crept up into the space to their left before they actually move into that space. 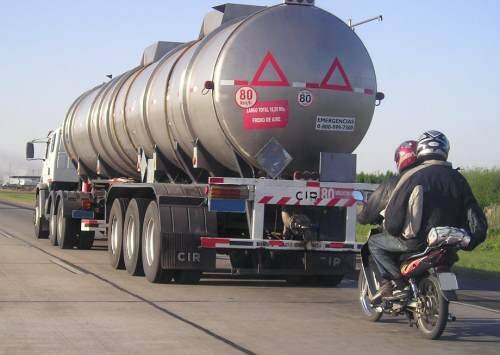 “Motorcycles typically will be in the right hand tyre track of the vehicle they are following. 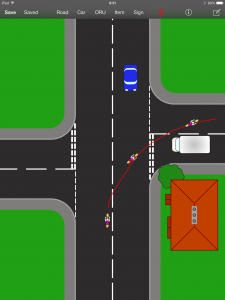 So a car driver who knows where they themselves wants to go and is behind the rider (same left turn) will often speed up and creep along the inside (sometimes even accelerate into that space) as they presume that the rider is going straight. Regular checks of your mirrors will keep you updated with traffic flow behind you so you would probably be aware that the following car has now disappeared from your mirrors. The lifesaver would then be just that – the check that saved your life before you get wiped out by an impatient car. Failure to move away from danger. “Let’s say we are in the right-hand tyre track of the vehicle we are following and a safe distance (two seconds at least) behind them. We approach a left side road intersection and an oncoming car is signalling right and may cut across our path. We should check to make sure no-one is waiting to emerge from the left intersection , check the mirror and do a lifesaver if time (if we have been regularly checking our mirrors we should know who is where behind us) and then move away towards the middle or left side of our lane to protect our safety bubble. Not having your head and eyes looking up and ahead reduces the ability to detect situations and hazards that you may need to respond to. It increases the chance of being “surprised” which doesn’t give you time for proper planning. When riding through a corner, looking down will reduce your ability to identify potential hazards, encourages target fixation and will not give you the bigger picture. This can cause you to run wide on corners or brake and destabilise bike in the middle of corner. Karel’s advice mirrors that of martial arts tutors, too: we have excellent peripheral vision downwards, but not upwards. If you are looking down, you won’t see the punch coming, but you can look your opponent in the eye and still see a low kick coming. By keeping your head up you will still be able to see your bike and the tarmac, but if you are looking down at the tarmac you won’t be able to see up the road. “Failing to scan to the sides when entering intersections can be the cause of many collisions, as it’s one of the highest risk situations. Most riders don’t scan and check mirrors often enough to be able to respond to the situations around them. You can never assume because you have “right of way” that you are not at risk from other road users. Failing to check mirrors when slowing down, can result in being rear-ended. Maintain spatial awareness of surrounding traffic at all times. Always pay attention to the signage, particularly stop signs at junctions – you must always come to a complete stop. Use the correct indication on roundabouts, too. If you’re not quite clear on roundabouts, try the Core questions here. ‹ Tailgating – what is it and why is it dangerous? Tailgating – what is it and why is it dangerous?